Some would argue that life is full of tests. What is the value of testing? Does it actually advance our skills, our dreams, and our goals? As a parent, you’ve probably heard the moans and groans of “I’ve got a test!”. It rings in our house too often. And unfortunately, I can relate. Testing has never been my thing. My knowledge or skills of a subject were not reflected in my tests scores. But there was not another option, and still isn’t today even with our technology. So the moans and groans continue to echo loudly especially with the holidays drawing near. That means the semester is coming to an end. So what is the value in testing? Well if you ponder it long enough, you can come to the realization that we are ALL, regardless of age, tested. God even tests us. However, our opinion of tests still remain the same. We don’t want a test, especially from God! If we’ve graduated from high school or college, we don’t want any more tests. Yet we get them every day! What if your testing was simply an achievement of skills, knowledge, and abilities, and preparation for what’s to come? Would that change your opinion of tests? For me, probably not! The word itself makes me cringe! But let’s get serious, how can you get through the tests and see the value of testing? The K.I.S.S. ~ S.T.U.D.Y. for the test! Preparation is key to anything you want to accomplish in life. This goes for you and I, and our children. Simplify the process. Don’t over complicate what you are to be learning. Tighten the reigns. Stay focused. Don’t get too excited about what’s to come or getting done with the test, only to rush through the test. Understand the bigger picture. Concepts and skills. What can you take with you? Demonstrate your dedication. Commit time to accomplishing what you need now into later. Yearn for success. What’s to come. Trust the process and what God is divinely designing. The value in testing isn’t found in the outcome of the test. It’s discovered in the process of preparation. It’s not about the destination. It’s about the journey. TAKE A.I.M. ~ Action Ignites Motivation – This is a complimentary (FREE) coaching call with me. You will be able to discuss your specific situation and gain tools and strategies to move you forward. Subscribe to Create Your Now TV on YouTube. Wanting help with goals, setting your schedule, or need someone to talk to (even if you don’t know what you need)? It’s time you TAKE A.I.M. ~ Action Ignites Motivation. This is FREE for you. Stop trying to do it by yourself. Put YOU first! Become your best selfie so you can live your life’s purpose. ANNOUNCEMENT: Ready to shine your light and tell your story. Please click on MY STRENGTH IS MY STORY. Here you can submit yourself to appear on the podcast or make recommendations as who you would like to hear. This is going to be a beautiful series! Listen to Create Your Now on Spotify. Listen to Create Your Now on iHeart Radio. Click here. 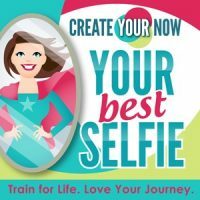 Get motivation, inspiration and exclusives in creating your now and living an extraordinary life. This includes simple daily strategies, recipes, fitness, weekly highlights, work-life balance tips, and so much more. There is no doubt that you were created on purpose, for a purpose! Don't let your inner critic stop the AMAZING woman blossom into a beautiful greatness. Embrace the butterflies! Be Present. Be Incredible. Be YOU!!! Are You Waiting for the Perfect Time? We want to keep in touch! Hope to see you here.